While steady streams of gawkers admire Colorado’s fall colors from busy highways those willing to eat a little dust and dodge a few potholes discover even greater rewards. I share a few favorite, off-the-beaten path roads around the state. Narrow gauge trains once puffed across the Continental Divide at Boreas Pass – named after the Greek god of the north wind. Today the old railroad bed provides a gentle grade for automobile traffic. A short but always rewarding side trip to a Crested Butte visit. “The Butte” isn’t exactly a place you stumble upon, you get there on purpose. And, some choose to never leave. A former ghost town, Gothic is now headquarters of the Rocky Biological Laboratory, a high altitude environmental research field station. 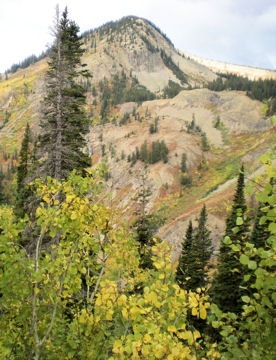 Prospectors rushed to the area 150 years ago when gold was discovered in Gregory Gulch. Central City soon became a supply and cultural center – nearly designated as the state capital. 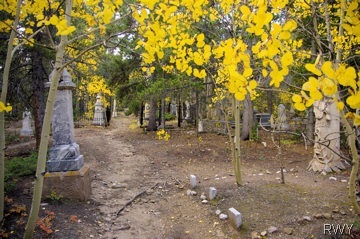 The remains of old mining camps and abandoned mines dot the hillsides – Nevadaville, Apex, Russell Gulch, American City. 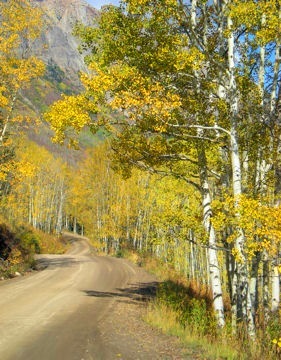 The most colorful autumn route between Gunnison and Crested Butte is the Ohio Pass Road. Not the most direct, fastest or smoothest but without a doubt the most vibrant. I almost hate to share this personal remote treasure. Bob first took the family down this road three decades ago in our International Scout. Rough, rutted and ungraded – 4WD is definitely advised even thought I did drive it once in a Honda Accord. I had to buy Bob a much needed…. 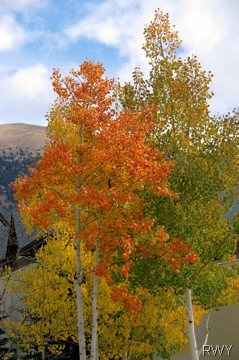 Image these aspen in their golden glory.